Prime Minister Justin Trudeau, seen here during a NATO Summit in Brussels, Belgium, back in July, announced the United States-Mexico-Canada Agreement (USMCA). Photo courtesy of prime minister's office. Prime Minister Justin Trudeau and at least part of Canada’s automotive industry are happy. On Monday, Trudeau welcomed an agreement-in-principle between Canada, the United States, and Mexico on a modernized trade agreement — the United States-Mexico-Canada Agreement (USMCA) — that the prime minister believes will create good, well‑paying, middle class jobs, strengthen economic ties, and expand Canada’s trade in North America. Following more than a year of negotiations, Trudeau explained the three countries have reached understandings in key areas, including rules of origin for automotive manufacturing, agriculture, labor, intellectual property rights, culture, and dispute settlement. Further, Trudeau pointed out that Canada has ensured that any U.S. 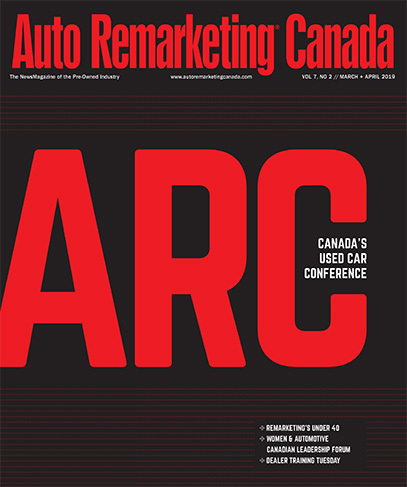 Section 232 tariffs will not impact Canadian auto and auto parts exports. He said Canada has successfully preserved key elements of the original NAFTA, while building on the agreement to expand opportunity and improve protections for workers across North America. The resulting agreement offers crucial predictability and stability for Canadian businesses, investors, traders, workers and innovators, according to the prime minister. — Fight for Canadian jobs and living standards within an agreement that is mutually beneficial for all three countries. When implemented, Trudeau went on to mention the USMCA will help Canadians compete globally and prosper in a healthy, integrated North American economy. He added the Government of Canada will continue to engage with North American partners to finalize the details of an agreement that benefits all Canadians. “The agreement-in-principle we reached today is good for Canada, good for Canadian businesses, and most importantly, good for Canadian workers and their families,” Trudeau said. “When this improved agreement is implemented, North American trade will be preserved and modernized for the 21st century – just as we set out to do,” he continued. Global Automakers of Canada shared that the organization also is pleased that Canada, the United States and Mexico have negotiated a new trilateral trade agreement. “The United States-Mexico-Canada Agreement will continue to provide our members — which have a footprint in all three countries — with preferential access to the U.S. market. Importantly, the agreement also provides protection for Canada's automotive industry from U.S. 232 national security tariffs,” said David Adams, president of Global Automakers of Canada. The GAC applauded the work of Foreign Affairs Minister Chrystia Freeland and the Canadian negotiating team for working “tirelessly” to reach this agreement. Cox Automotive senior economist Charlie Chesbrough took a deeper look at how Canada’s auto industry could benefit from this new development, especially on the labor and wage fronts. “The new agreement framework doesn’t appear to be significantly different than the previous treaty, although the higher content requirements will likely increase within-region parts and final assembly production,” Chesbrough said. “Also, proposed limitations on low wage labor content for North American production, targeted at Mexico, will be welcome news to many workers in both the U.S. and Canada,” he continued. Labor unions have complained for years that workers in the U.S. and Canada couldn’t compete with the low hourly wages Mexican workers were being paid. Now, the playing field could be leveled a bit more. “Increasing the cost of manufacturing in Mexico may, eventually, help steer more jobs to Canada,” Chesbrough went on to say.